An open-ended question (also known as Comment or Verbatim) cannot be answered with a simple "yes", "no", or one-word answer. Instead, an open question is likely to receive a long answer, which makes them ideal for qualitative instead of quantitative information. Although any question can receive a long answer, open questions deliberately seek longer answers in the form of a list, a few sentences or something longer such as a speech, paragraph or essay. Open questions often begin with words such as what, why, how and describe. Like every question type, the open-ended question isn't without fault. For your convenience, we listed the biggest pros and cons advantages and disadvantages below. What’s your reason for reading this blog post? Why have you responded to this listing? 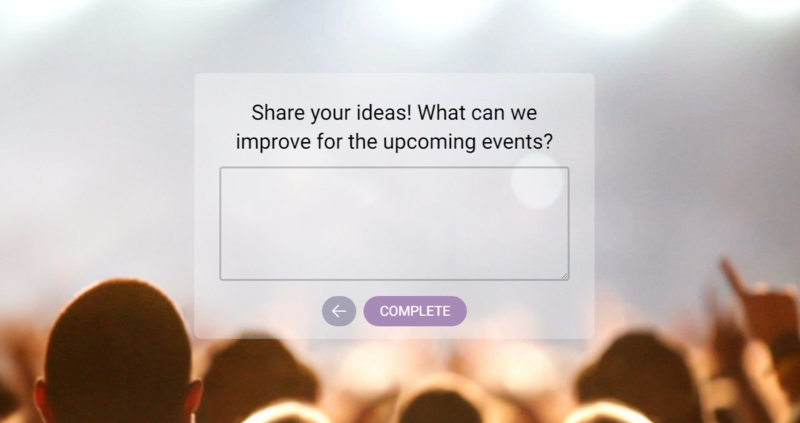 Check our guide on how to create your own open-ended questions in our tool.